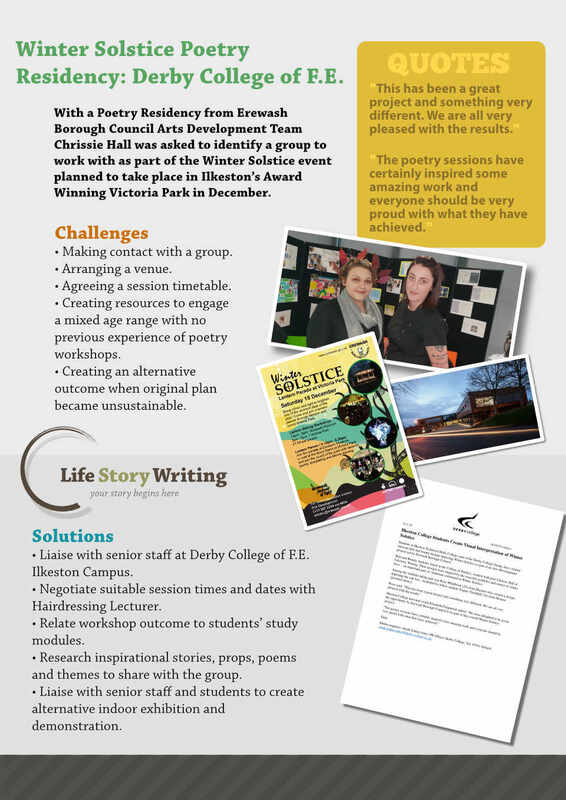 With a Poetry Residency from Erewash Borough Council Arts Development Team Chrissie Hall was asked to identify a group to work with as part of the Winter Solstice event planned to take place in Ilkeston’s Award Winning Victoria Park in December. • Making contact with a group. • Agreeing a session timetable. • Creating resources to engage a mixed age range with no previous experience of poetry workshops. • Creating an alternative outcome when original plan became unsustainable.